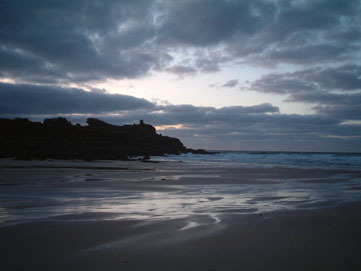 Porthmeor is a stunning beach in St Ives town, famous for its surf and sunsets. It is central to the artistic community and is home to Tate St Ives, the gallery is situated over the beach with spectacular views, there is also the Porthmeor beach café, with fabulous views over the beach, and an ideal place to eat and watch the wonderful sunsets. Porthmeor beach, unlike its genteel neighbour Porthminster, is an old industrial area. It became popular as a leisure beach during the 60's and 70's when the old industrial buildings where converted into apartments. A lot of the buildings had previously been used by the fishing industry, but during its decline they were converted by artists into studios. Porthmeor remains the central hub of the artistic community, which, during the 1930's to 70's, was considered as important as London, New York and Paris. 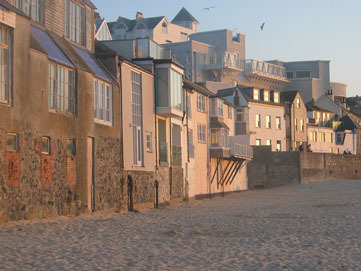 Porthmeor is home to the Tate St Ives, Penwith Gallery, Porthmeor Studios and St Ives Arts School. Porthmeor beach is famous for its surf, which during the holiday season is popular as a beginners surfing beach. 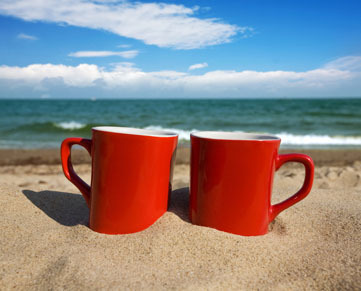 There is a surf school, surf hire, a beach shop, snack bar and café with terraces overlooking the sands. Life guards are on duty and Porthmeor has a blue flag award. Porthmeor is also central for the town and its many restaurants, pubs and bars, the main harbour is a 5 minute walk.